Visitors attending the first Merced for Kids pop-up during its run at the at the Merced Multicultural Arts Center. 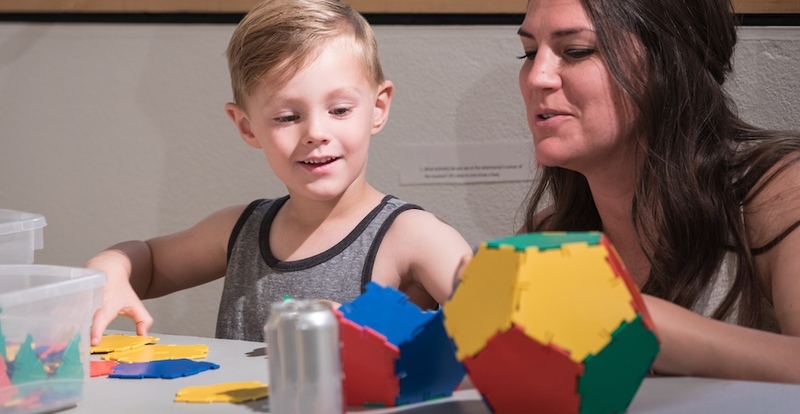 Those who weren’t able to attend the first pop-up will be happy to hear that Kids Discovery Station runs a full week longer than Merced for Kids, which ran from May 25 to June 9 at the Merced Multicultural Arts Center and attracted more than 900 visitors during its two-week run. 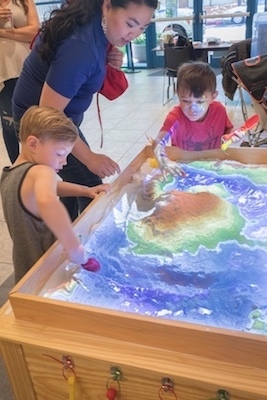 Kids Discovery Station runs from Aug. 1 to 21 in the Gracey Meeting Room at the Merced County Library, 2100 O St. Exhibit hours are 10 a.m. to 5:45 p.m. Monday through Thursday and 10 a.m. to 4:45 p.m. Friday and Saturday. The pop-up is closed Sundays. Admission is free. Children at the first Merced for Kids pop-up enjoying the augmented-reality digital sandbox. Exhibits on display include an augmented-reality digital sandbox where children can learn about maps and topography; a model train station; a restaurant where children can pretend play and learn healthy eating habits; a toddler playground; a new virtual reality and technology center; and more. The children’s museum is spearheaded by UC Merced Professors Mayya Tokman and Angelo Kyrilov and Merced County District 2 Supervisor Lee Lor. The exhibit is organized with support from UC Merced’s CalTeach program, First 5 Merced County and UC Berkeley’s CalTeach program. Organizers are attracting even larger crowds with this second exhibit and hoping to get support from individuals and organizations in the community who want to help make the children’s museum a permanent fixture in Merced. For more information about Kids Discovery Station and ways to get involved, see the linked flyer and visit http://facebook.com/mercedforkids. Individuals and organizations interested in becoming partners or donors should contact museum organizers directly at mercedforkids@gmail.com.